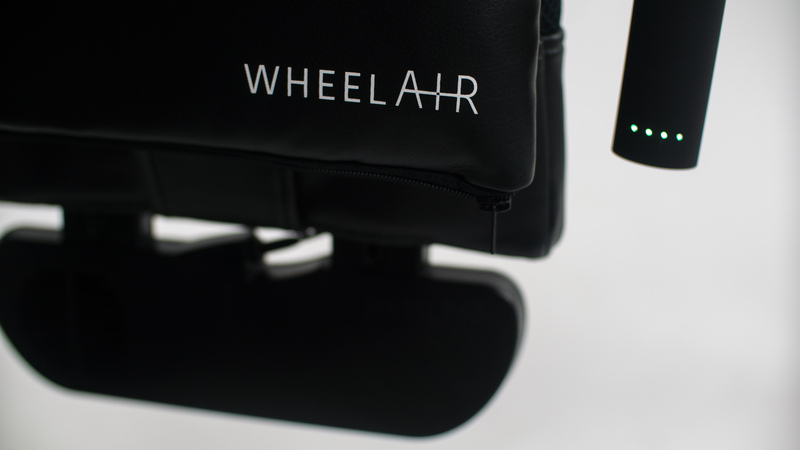 The much-anticipated cooling wheelchair backrest innovation, the wheelAIR, has just pierced the mainstream mobility market and is now available to purchase online. The award-winning wheelAIR® has been designed in Glasgow by healthcare product start up, Staels Design, with the input of Paralympic athletes as well as wheelchair producers. It is little known that overheating is a problem for the majority of wheelchair users which not only impacts their daily lives, but can lead to more serious health ailments. The wheelAIR has been carefully designed to solve this problem. Using inbuilt fan technology, it not only cools the back, but reduces core temperature by taking away excess heat and moisture. This allows for instant comfort and better temperature control. The cushion also offers extra support through a unique blend of carefully selected foams. Staels Design’s mission is to improve wheelchair user’s lives by designing stylish products of the highest quality. The company will be trading under the wheelAIR name, and has rebranded to wheelAIR online and on social media channels from its former name, Staels Design, to accompany their new website. They held an event on the 2 November in Edinburgh where athletes, industry leaders, disability charities and health professionals gathered to celebrate the launch of the wheelAIR e-commerce platform. The event was also a nod to wider accessibility innovation in Scotland as well as commending successful business women. The guest speaker was award-winning accountant Faith Simpson, who brought her experience as a renowned Scottish business professional to the table. “I jumped at the opportunity to support the wheelAIR launch,” comments Simpson.